The whole band (Tom, Chris, Jimmy, and Paddy) will be loading up this week for our first Texas trip of the year! 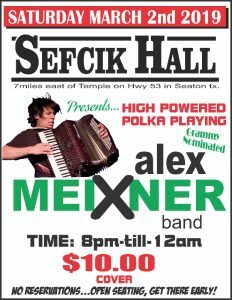 We’re going back to historic Sefcik Hall on Saturday, March 2 in Seaton, TX for a one-night polka dance. This is one of those places that just has a homey vibe in the walls. Grab your dancing shoes and be ready to party! Sunday, March 3 brings us down to El Campo for the first time with the band. 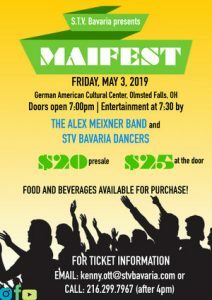 We’ll be benefiting the High School Band program and are excited to have fun with students, parents, grandparents and anyone else who wanders in! 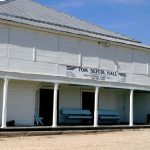 I’ll be teaching at the school in El Campo on Monday and then getting set for our Annual Fat Tuesday concert at the Brauntex Theatre in New Braunfels. We have some special guests which will be announced soon. I assure you, this is a special place to catch the band in top form, so make sure you grab those tickets!! Finally, we are making our first trip down to the valley. 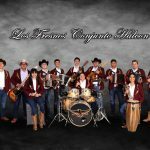 We’ll be doing some educational clinics and then a concert on Wednesday, March 6 with Los Fresnos Conjunto Halcón. 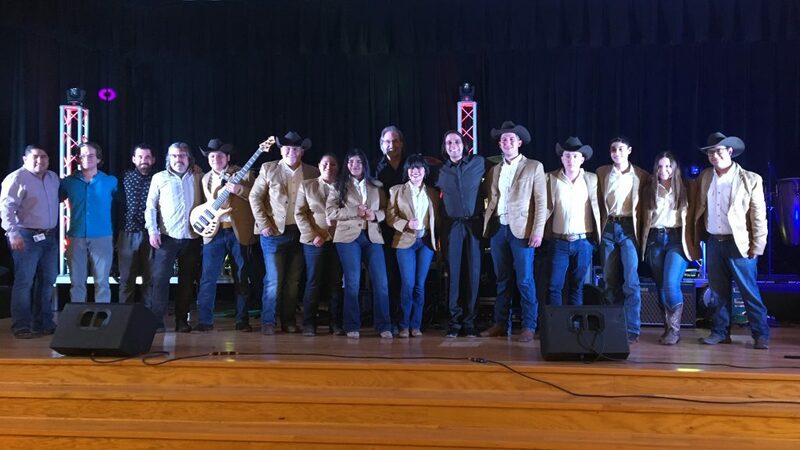 I first encountered Mr. Juan Longoria, master musician and educator last year at The Big Squeeze in Austin along with his students. These kids are phenomenal and super good people. I’m so excited to make music with these young people and entertain in their community. Please consider making the trip over to check out this special show.